Talk about the green movement here in Singapore, and you’re likely to be met with more uninterested expressions than concerned ones. Just think of the times you bought something from the supermarket, for example, and accepted a plastic bag despite the cash rebate you get when you refuse one. Or the instances when you threw a plastic bottle into the trash can even though the recycling bin was just next to it. But if you think that these point to Singaporeans being less than enthusiastic when it comes to going green, you’d be pretty much mistaken. Here are 5 ways in which we are — and can be — more involved in the green movement than you think. 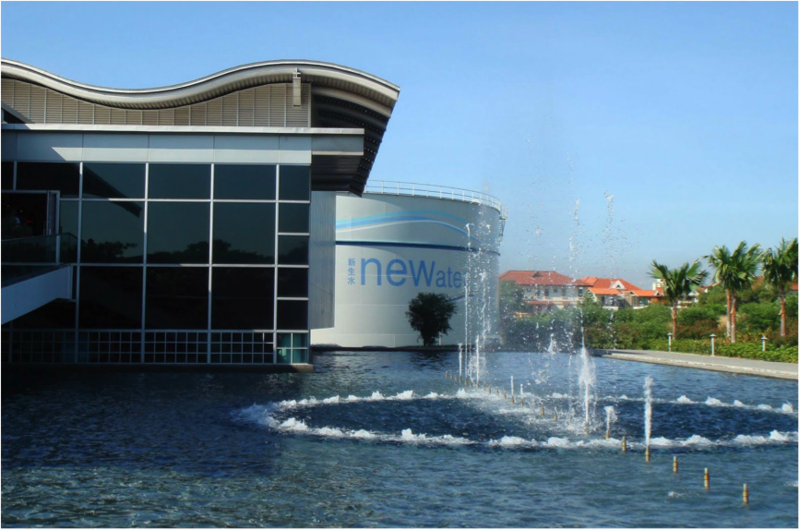 Okay so this isn’t all that unexpected: every Singaporean knows about NEWater, the recycled potable water produced by Singapore’s Public Utilities Board. Most of us have, at some point in time, drunk from a bottle of it at various national events. We’ve also learnt at school about how some of it is derived, quite literally, from human waste — and proceeded to make numerous inappropriate jokes about it. But what we might not be aware of is that NEWater is not just about ensuring we have a constant, dependable source of clean water — it’s a nod to the green movement as well. Through the process of water treatment, waste water is, in effect, recycled — with recycling being one of the 3R’s (Reduce, Reuse, Recycle) that forms a major part of the global green movement. Of course, NEWater can only truly be a green initiative if you recycle the bottle after you’re done drinking from it. 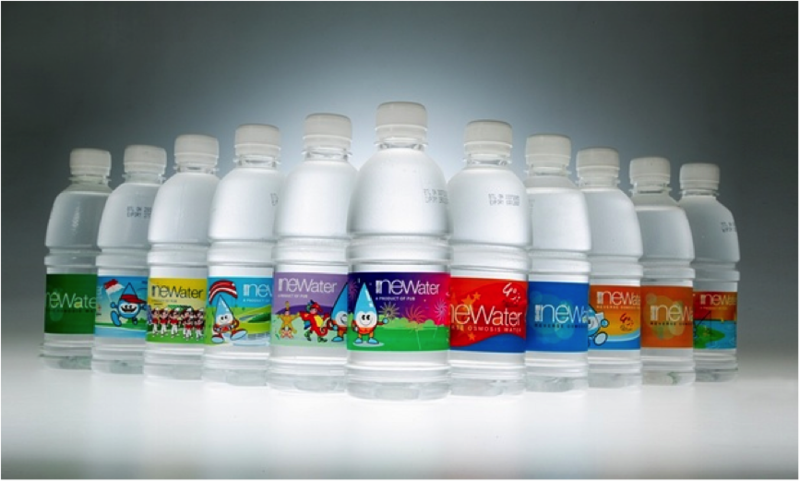 Fun Fact: NEWater meets some 30% of Singapore’s water needs currently, and this figure is set to rise to 40% by 2020. It is the Singapore Government’s aim to be completely self-sufficient in terms of our water needs by 2061. 2. Shopping — A Green Hobby? Environmentally friendly shopping might seem like a counter-intuitive concept: after all, a higher level of consumption means that more energy is being expended on processes like manufacturing and transport, right? It’s becoming increasingly convenient these days to get our hands on organic, locally-produced goods, especially when it comes to food and skincare products. These come with a lighter carbon footprint, as items made using locally-sourced ingredients greatly reduce the amount of energy needed to transport them to manufacturers and consumers. 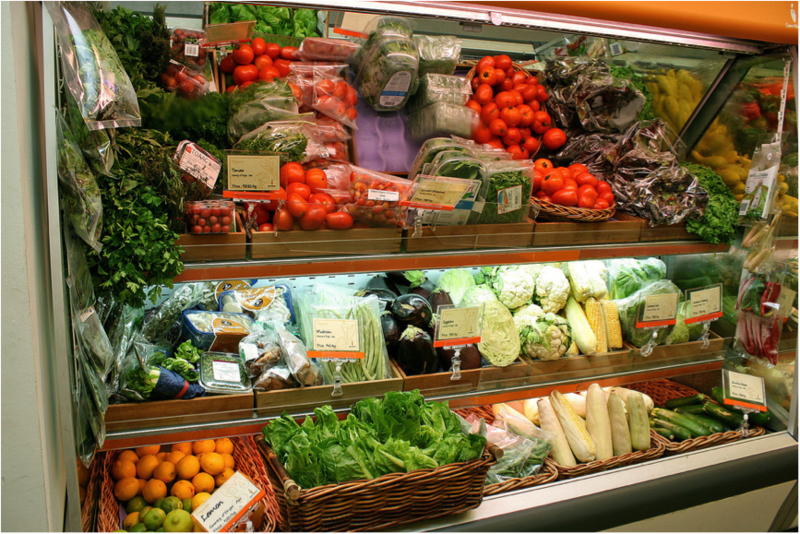 Stores, as well as supermarket chains, are starting to bring in eco-friendly options for consumers. 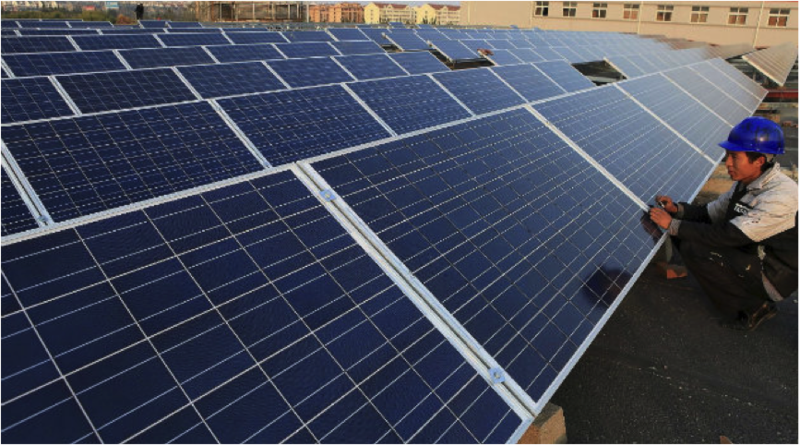 This means that green options are no longer as unaffordable as they were before. So go on, indulge yourself — the Great Singapore Sale is not quite over yet. Fun Fact: People for the Ethical Treatment of Animals (PETA) keeps a regularly updated list of brands and companies that are earth-friendly. It breaks down the list even further to indicate if businesses are vegan or working towards removing undesirable practices. Here’s something that might be new to many of us. Blue- and white-collar jobs are familiar terms to most, but green-collar jobs? Well, put simply, these are jobs in which workers deal with the various aspects of conserving and preserving both our natural and man-made spaces, and ensuring the sustainability of a company or organisation’s practices. And given the growing global concern over the state of our environment, there’s been a rise in recent years of jobs relating to the green movement. This sector has grown so quickly, in fact, that there’s now a green industry in Singapore revolving around Facilities Management and Maintenance (FMM), as well as a whole host of diploma, degree, and Master’s programmes aimed at training citizens who might wish to enter the industry: graduates can take on diverse jobs in the sector, ranging from the management and operation of buildings, to overseeing the use of resources, and planning and marketing of green events. This FMM Master Class took place at NTUC’s Employment and Employability Institute (e2i), and was the first for the FMM sector. Organised in collaboration with the Real Estate and Construction Centre (RECC), it seeks to prepare industry practitioners for changes in the facilities management landscape, such as dealing with sustainability issues during every stage in a building’s life cycle. The Master Class series aims to prepare Singapore’s workforce to be ‘Future-Ready’ by growing and deepening the skill sets of PMEs through partnering with industry players. The planning and design of a facility impacts the aesthetic, functionality and even safety/security of it. It’s evident that the green industry is a sector that’s only going to grow over time, yet with it being a relatively lesser-known field, there is a shortage of workers with relevant skills to offer. To fix this, the Labour Movement will work with the industry to help equip workers with Future-Ready skills, helping workers towards bettering their jobs, their pay and ultimately, their lives. 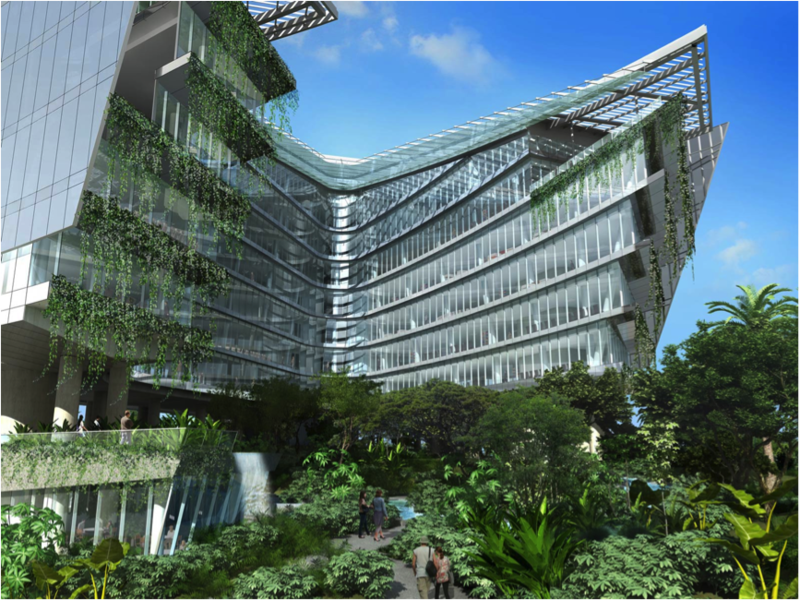 Fun Fact: To achieve the target for 80% of our buildings in Singapore — both old and new — to be Green Mark certified by 2030, we need about 6,000 facilities management professionals. 4. Buildings: They Can Be Green Too! The last thing most of us would associate with being green is a building. 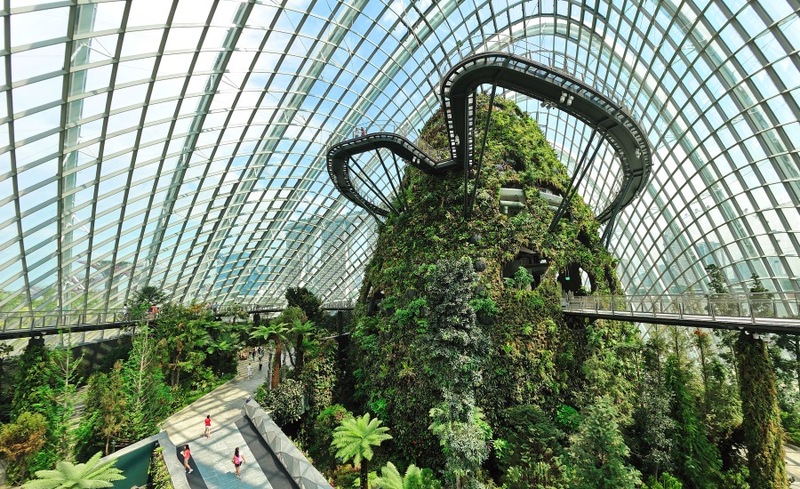 After all, the skyscrapers we’re so used to seeing in Singapore can’t do anything to help save the planet, can they? 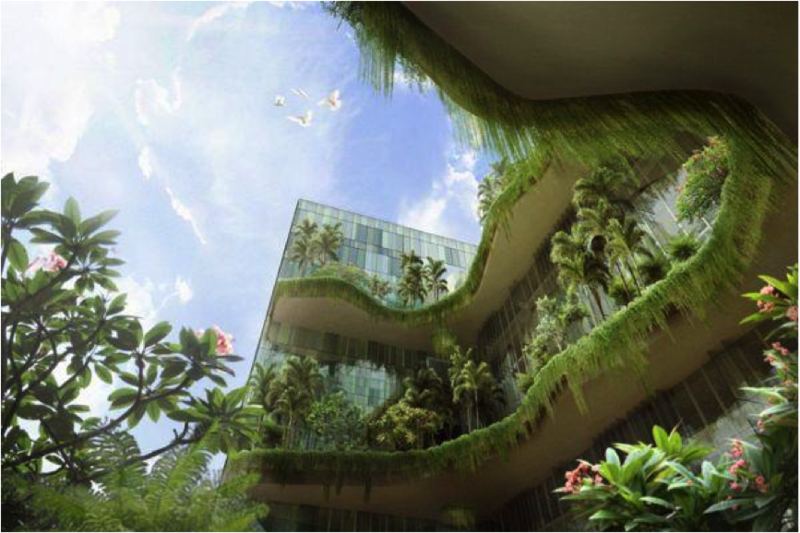 Actually, they can: we might not be aware of this, but Singapore is a pretty big proponent of making sure our built environment stays as eco-friendly as possible — a good move, considering just how many buildings are crammed onto our tiny island. And to further the green movement, we already have in place plans to make sure that 80% of all our buildings attain the Green Mark certification — a measure of how environmentally sustainable a building is — by 2030. Currently, 25% of our buildings have been awarded the Green Mark, one of which is the Duke-NUS Graduate Medical School: the building uses ceramic tiles that contain titanium dioxide, a low-maintenance material that can withstand tropical mould and is believed to reduce pollution in the air. If you’re one of the lucky few already working or living in an eco-friendly space, good for you — but the rest of us won’t have to wait that much longer either! Fun Fact: It is highly unusual for any government to be involved in setting up NGOs (non-government organizations), but that was what happened here on our shores. Singapore’s building authority was instrumental in the creation of our very first NGO to champion green building awareness. 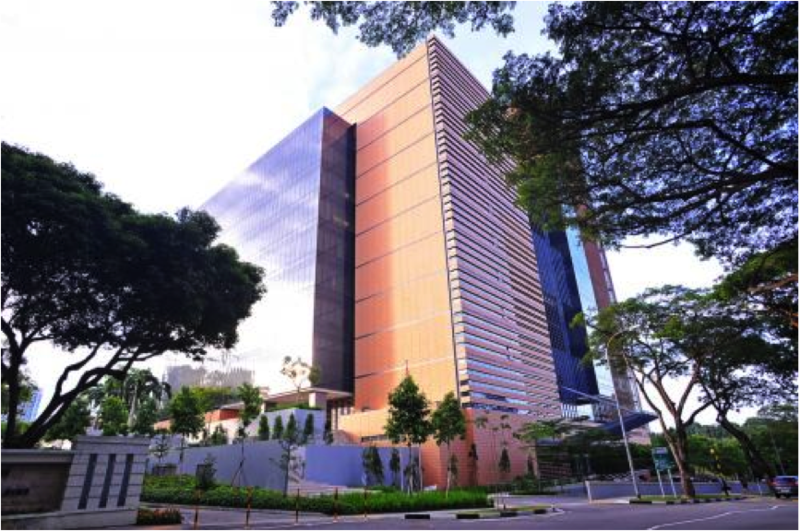 The NGO, Singapore Green Building Council (SGBC), was set up in 2009, and has since grown and evolved from just a body that helps create awareness into a powerful green building advocate that has put Singapore on the global map. Read the back story here. By this, I mean eco-friendly cars, of course. In Singapore, cars are deemed to be green — or not — based on the amount of carbon emissions they produce. 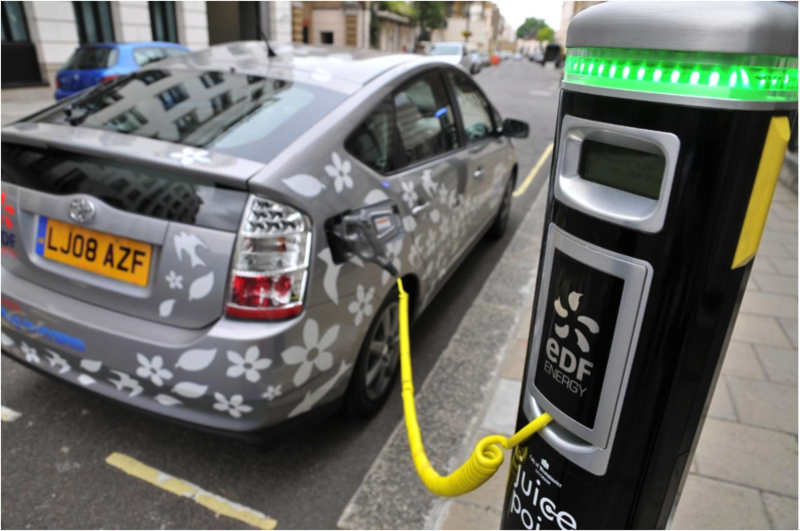 And depending on the make and model of the car you own, you can receive rebates ranging from $5,000 to $20,000, according to the Carbon Emissions-Based Vehicle Scheme (CEVS). This means that instead of having to give up your creature comforts, you can go right ahead and buy your own vehicle, and save money at the same time. Goodness knows we could really use those rebates, what with those out-of-reach COE prices — and yes, the ERP too. Fun Fact: Other than saving Mother Earth, other advantages of walking and cycling — apart from health benefits — include a reduction in absenteeism costs and boosting local trade. Research has found that health benefits from walking and cycling have saved the UK more than £7 billion over the past 20 years. An additional £200 million a year in absenteeism costs has been avoided, as well as 30 million kgs of carbon emission.